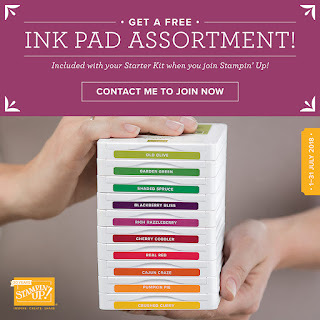 click on the picture above to join my team in July and get 1 whole colour family of ink pads for free. 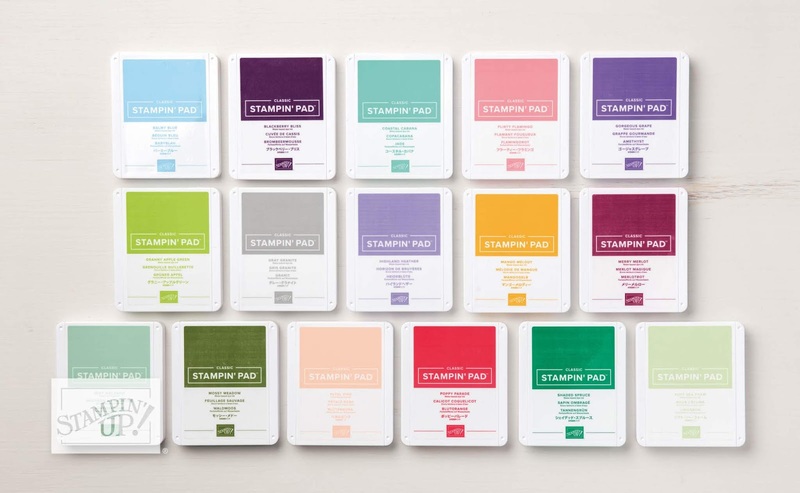 That's 10 new style ink pads!!!! Today I am briefly discussing how wonderful the new ink pad style SU have brought out this summer. They are wonderful for those of us with hand strength issues etc. 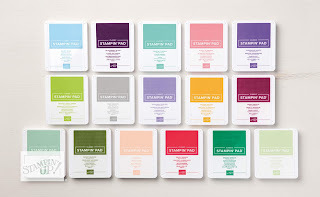 These ink pads are great for all crafters but as I am a severely physically disabled demo I must say they are especially helpful for those of us with hand issues. I recommend you open and close them a few times whilst watching TV when they first arrive. That way they are nice a loose and will work perfectly for you every time.